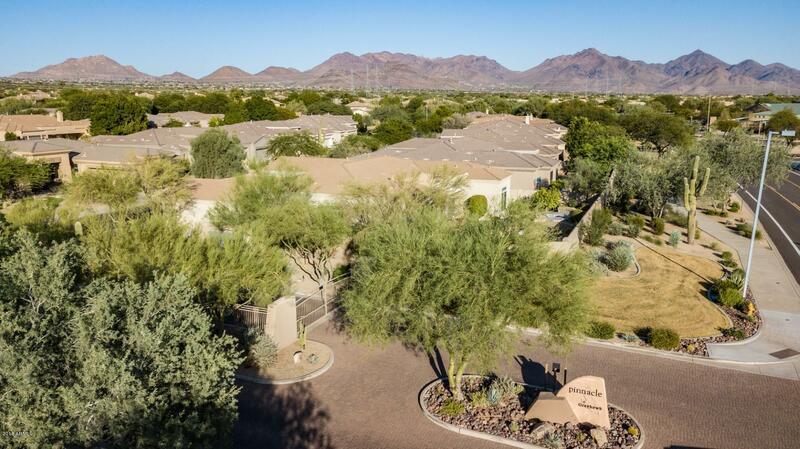 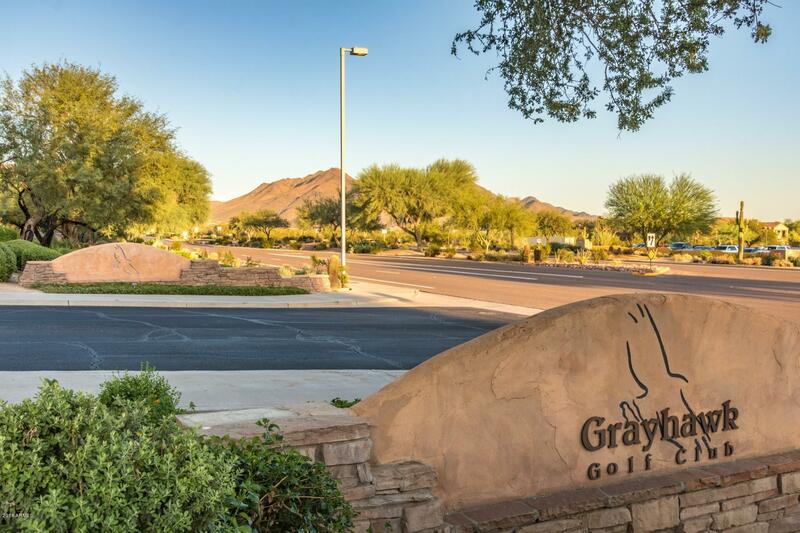 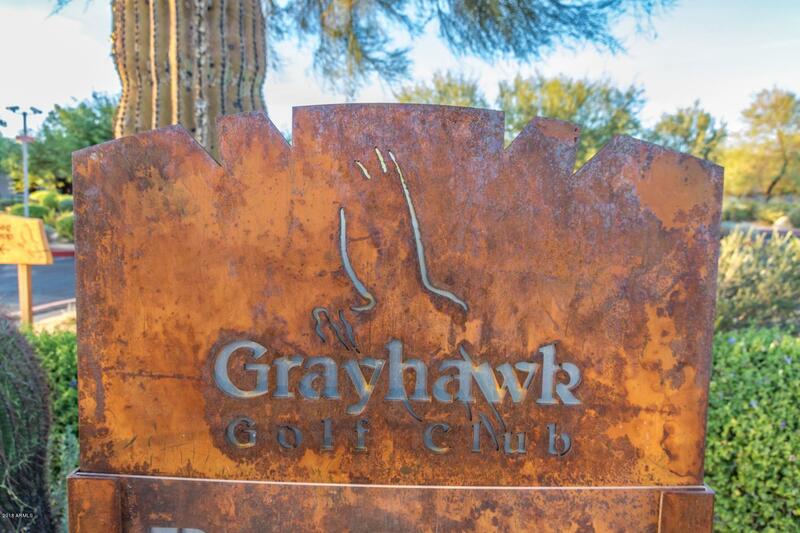 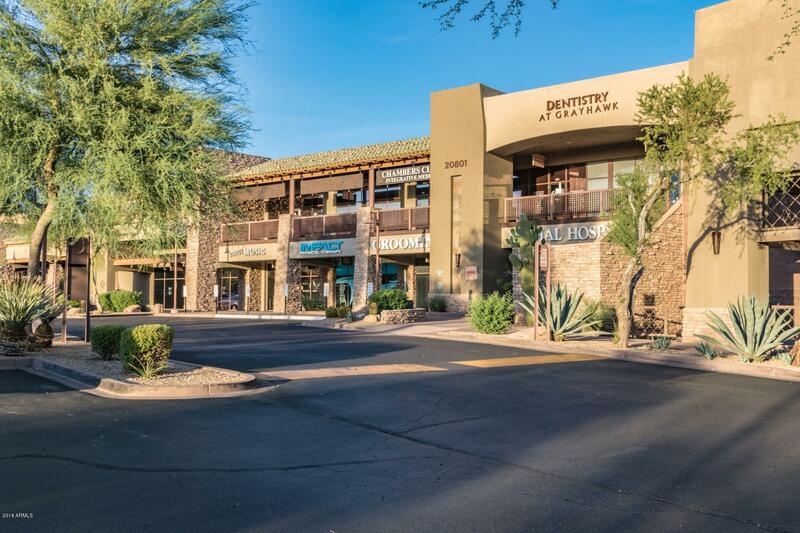 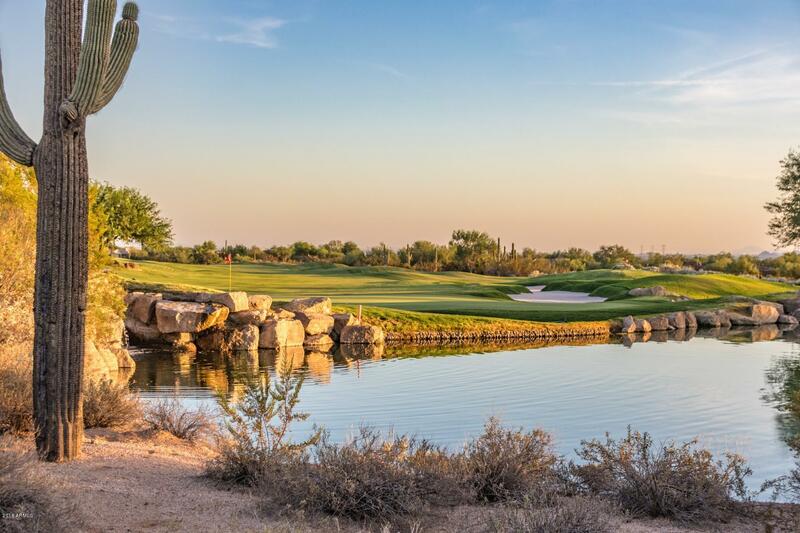 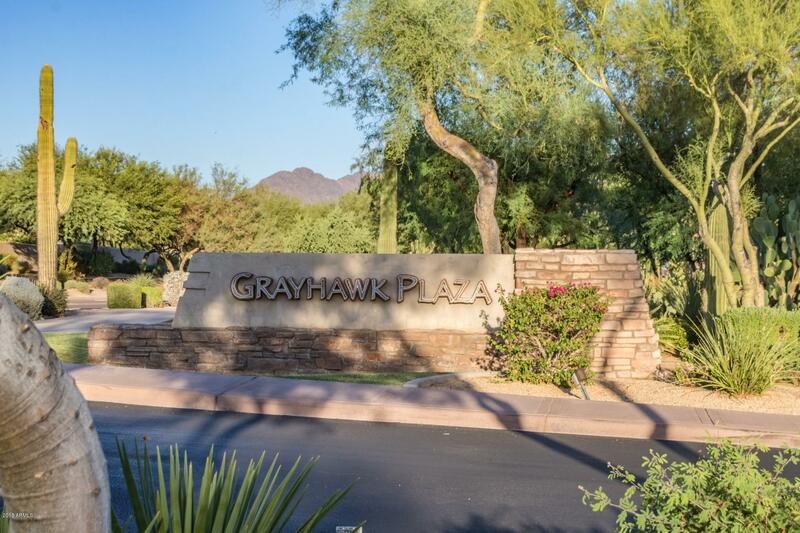 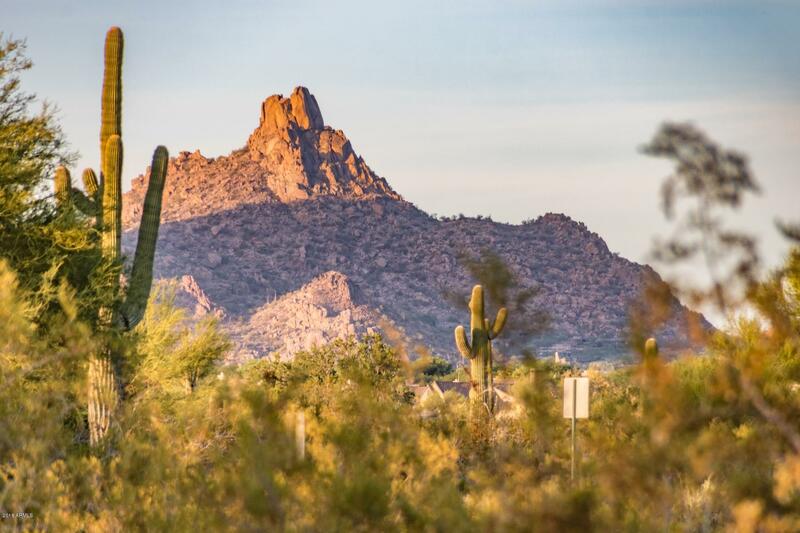 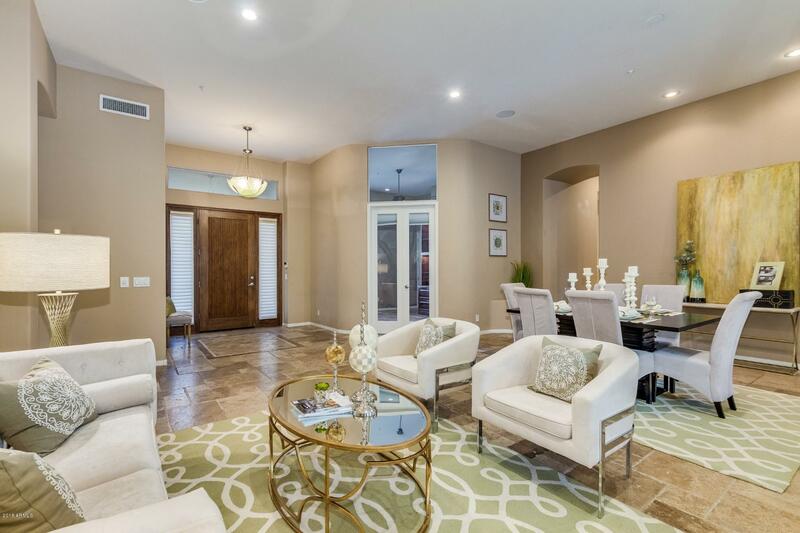 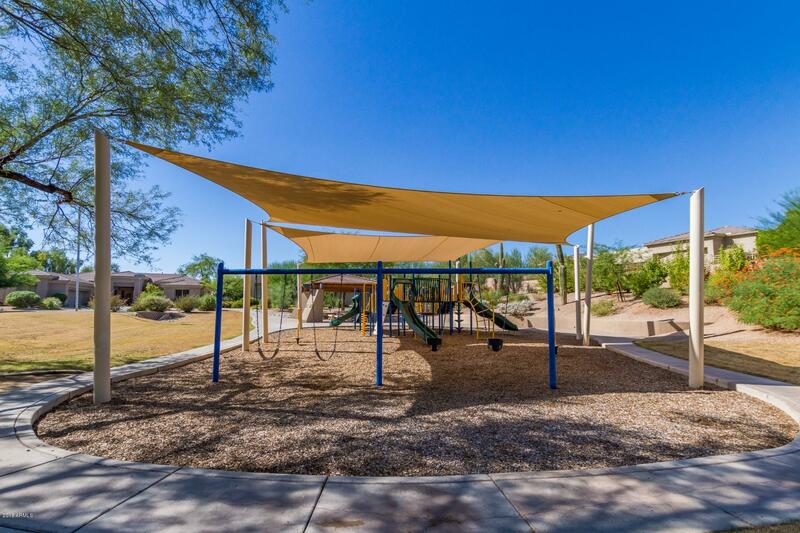 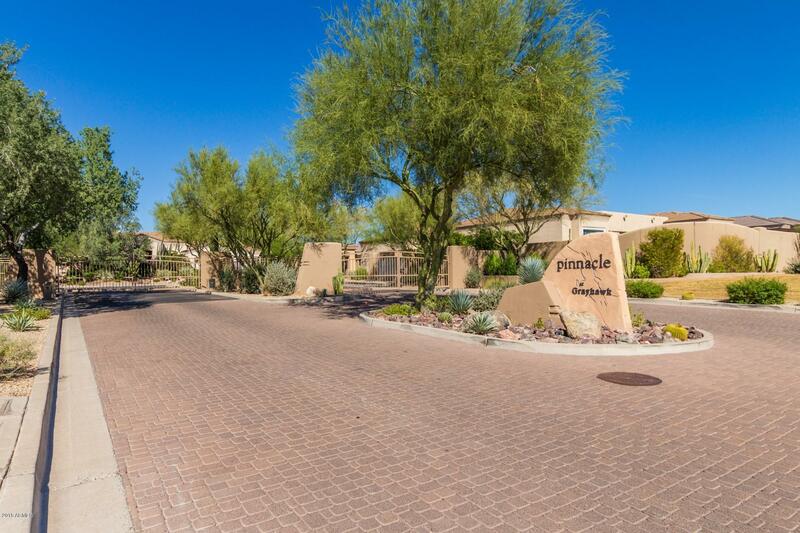 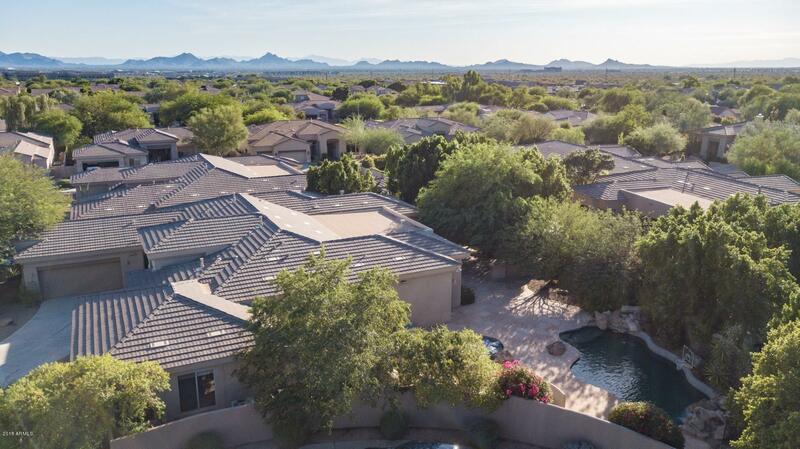 Amazing opportunity to own an elegant home in the highly sought after community of Pinnacle at Grayhawk! 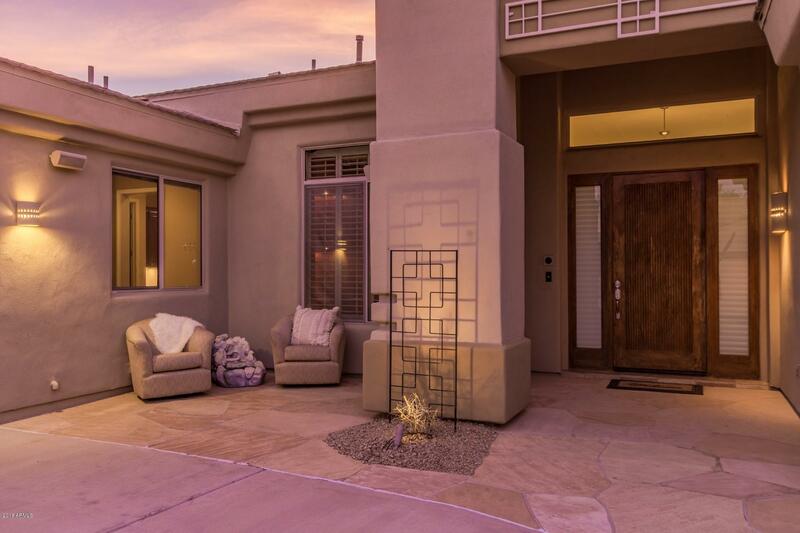 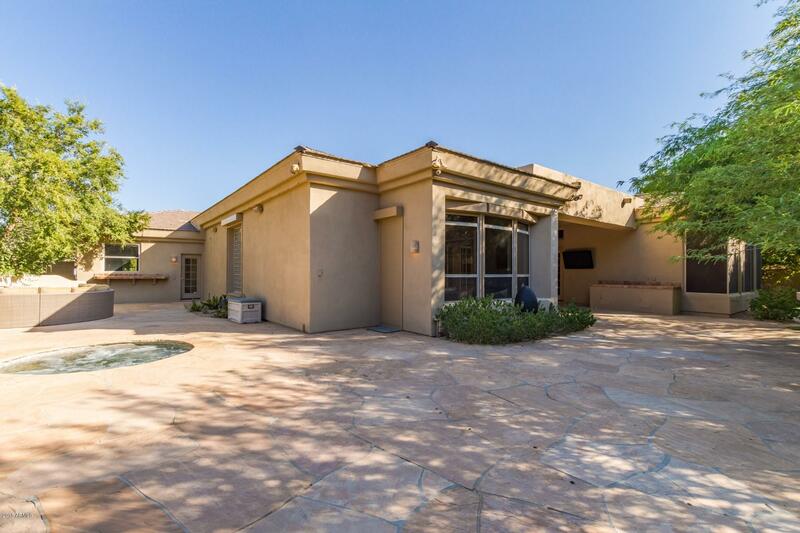 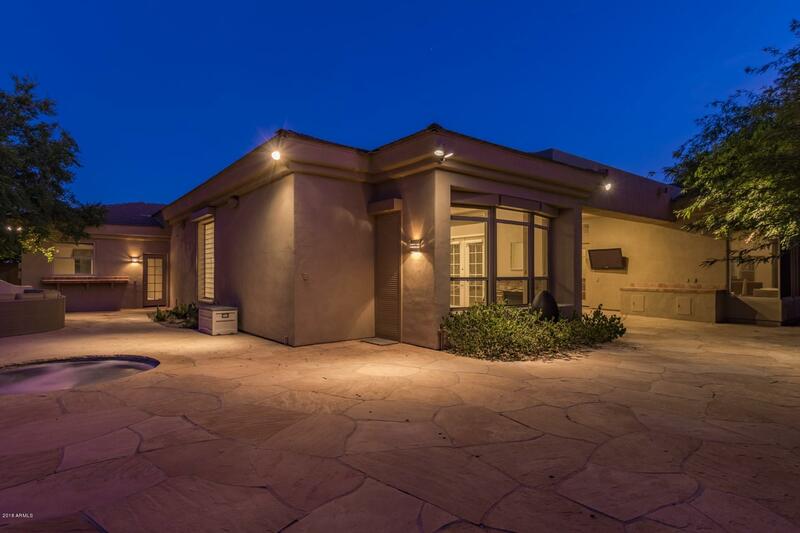 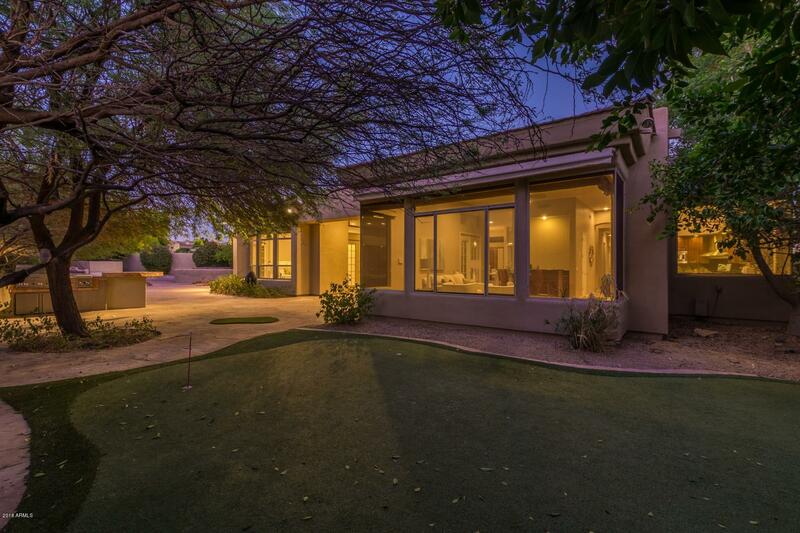 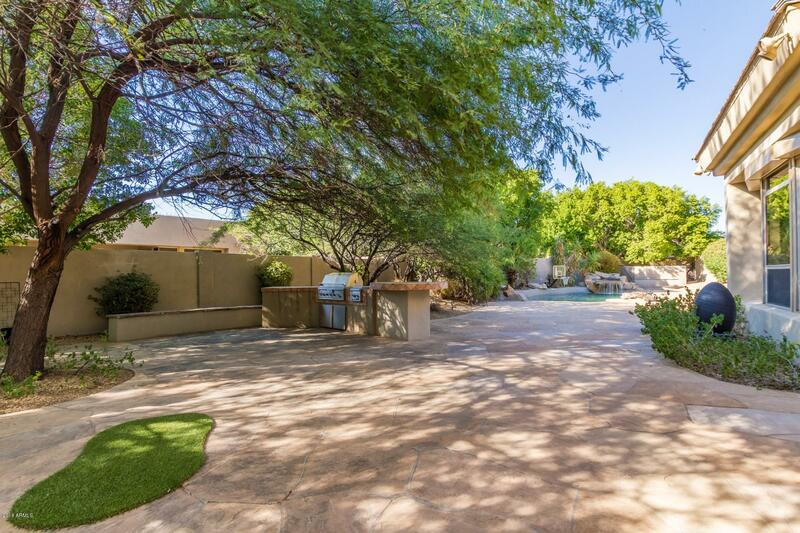 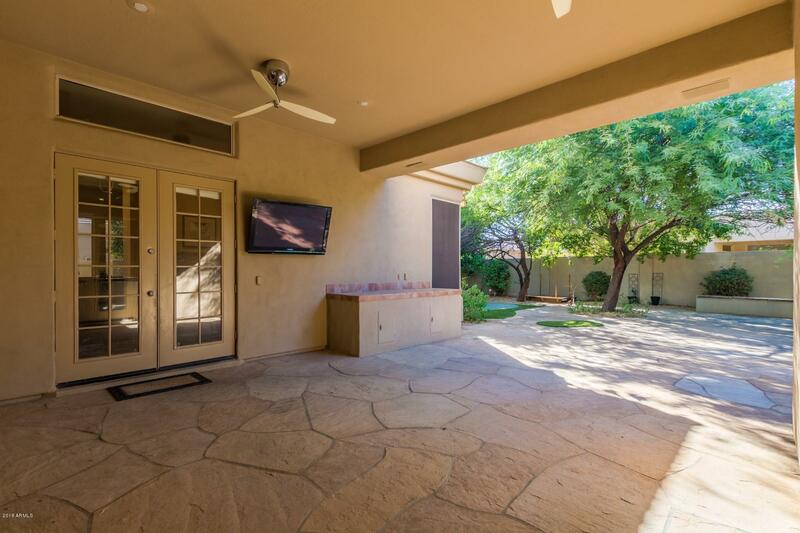 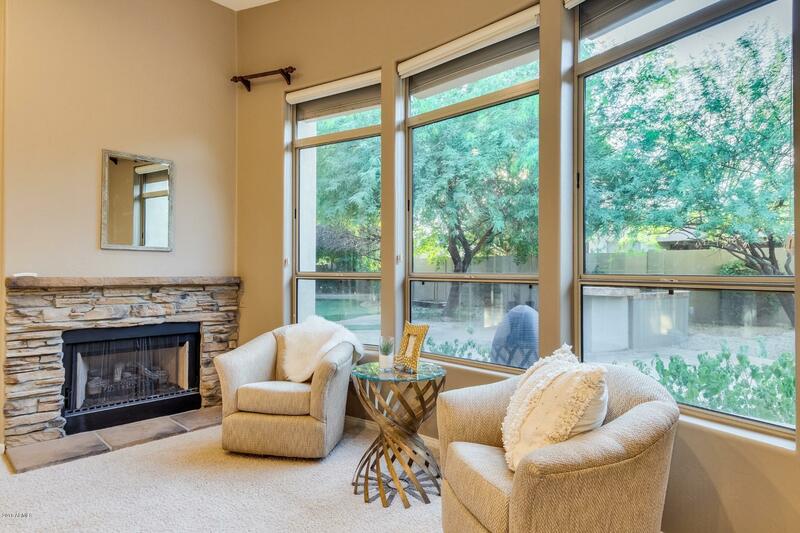 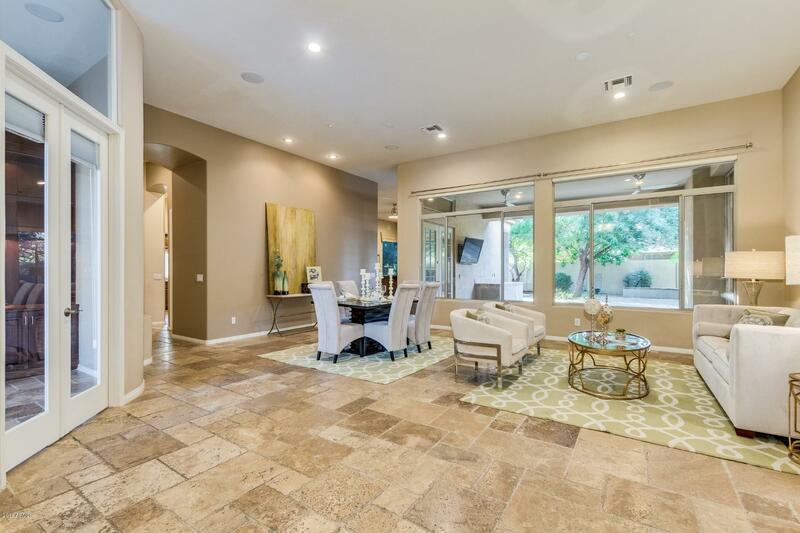 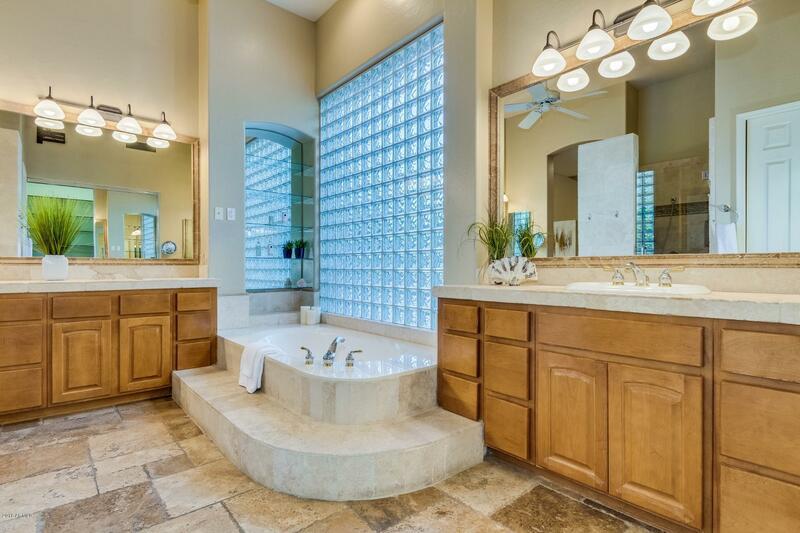 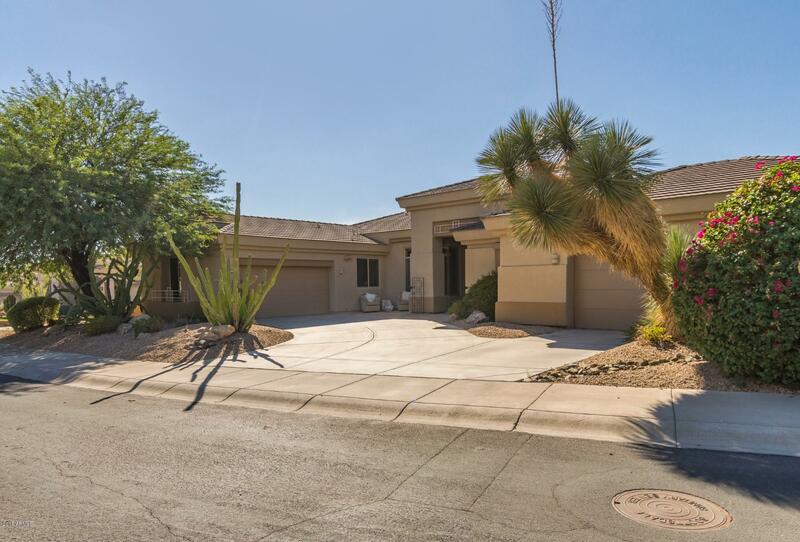 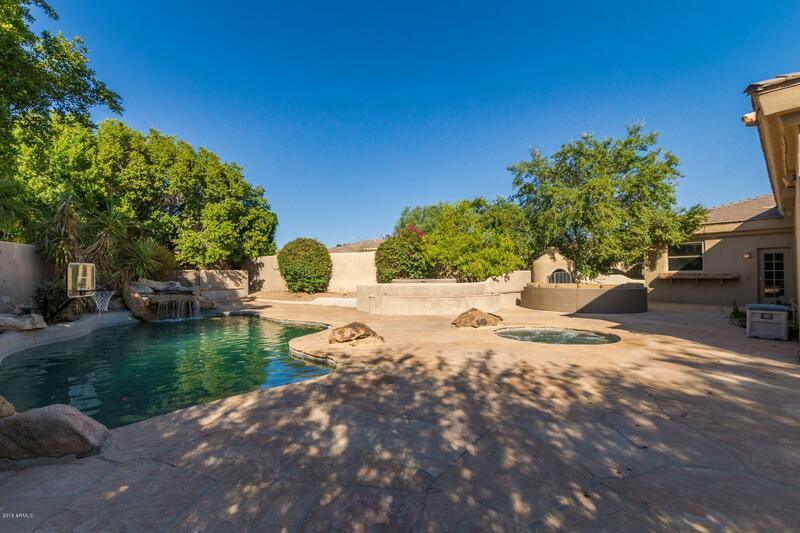 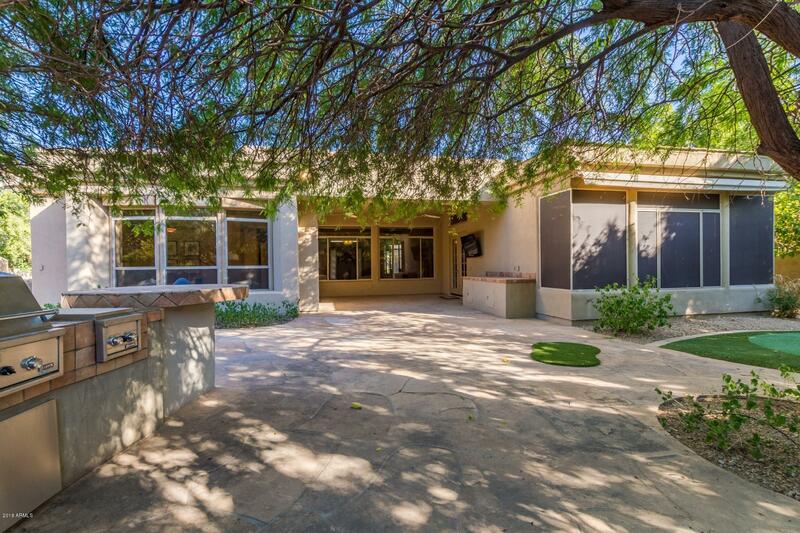 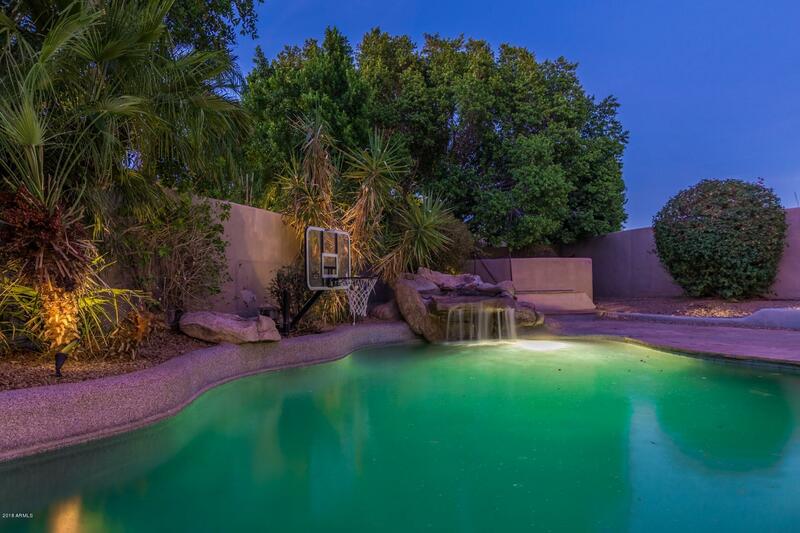 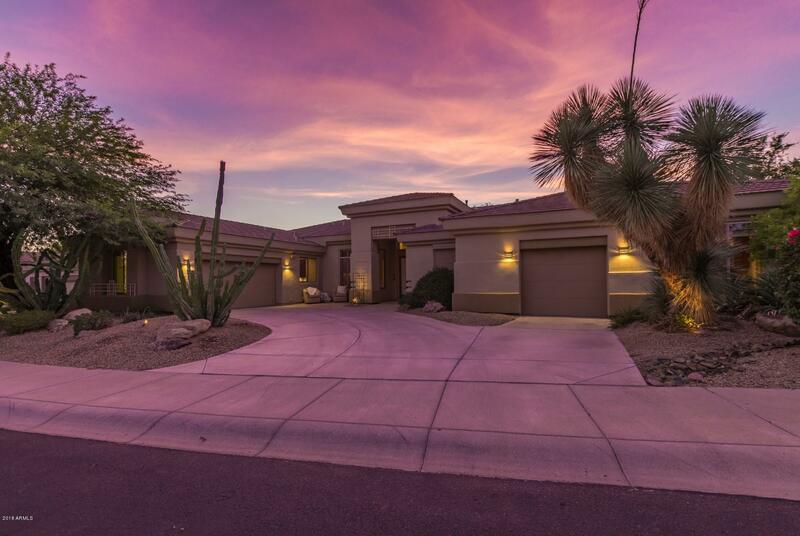 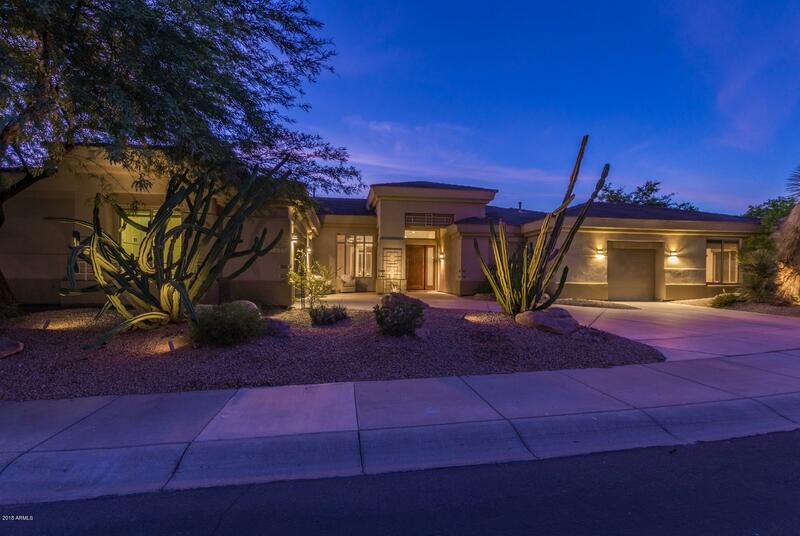 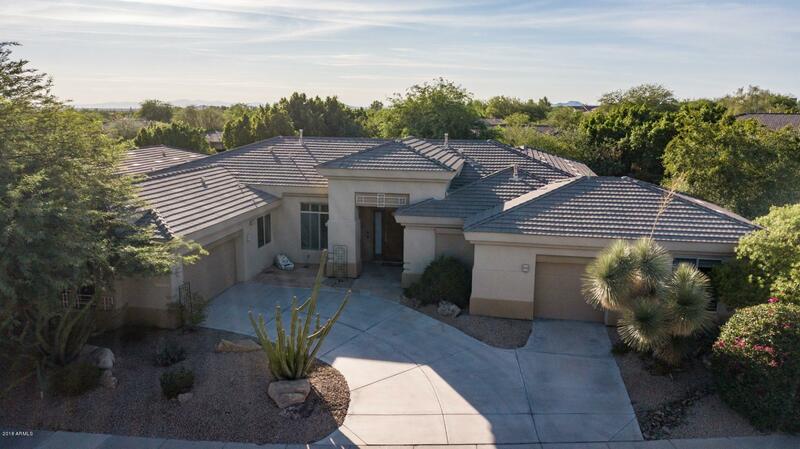 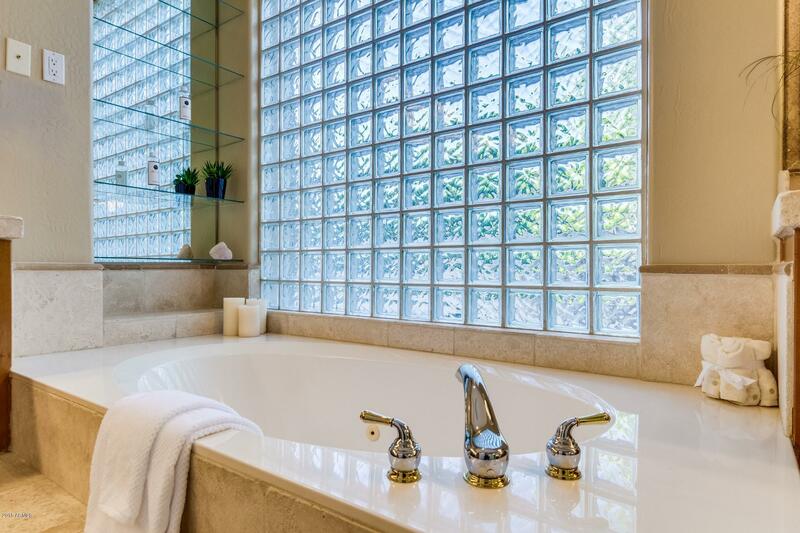 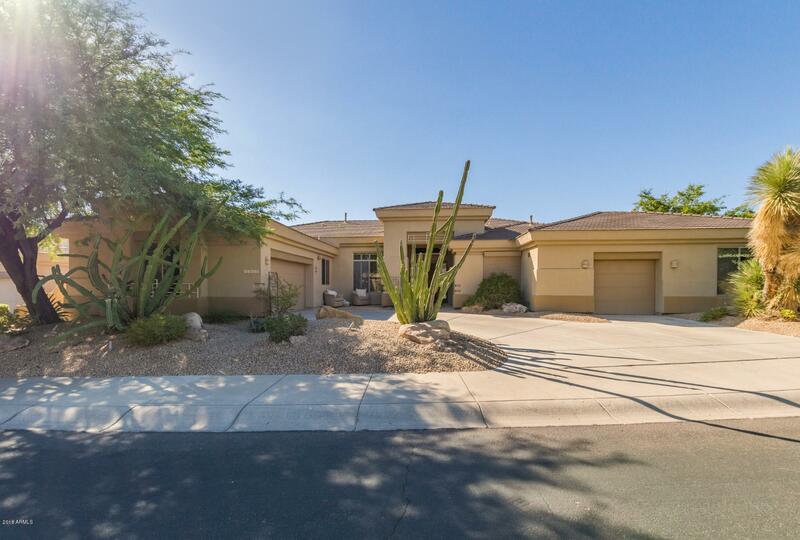 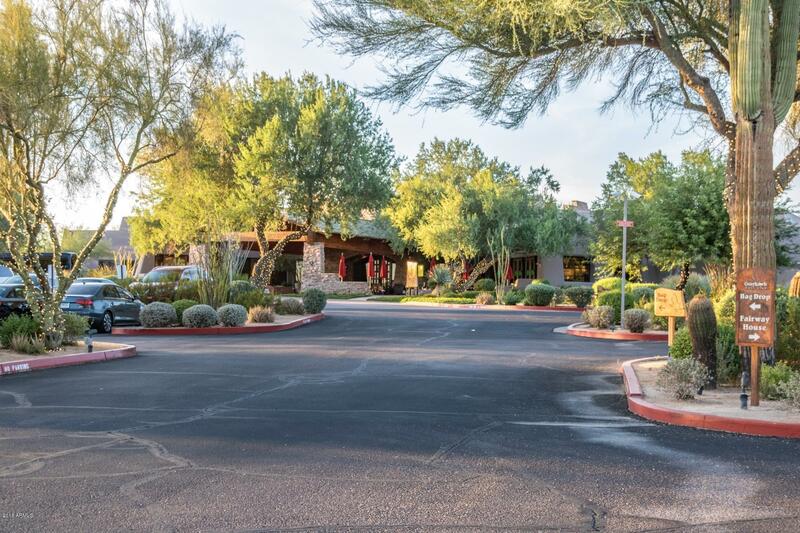 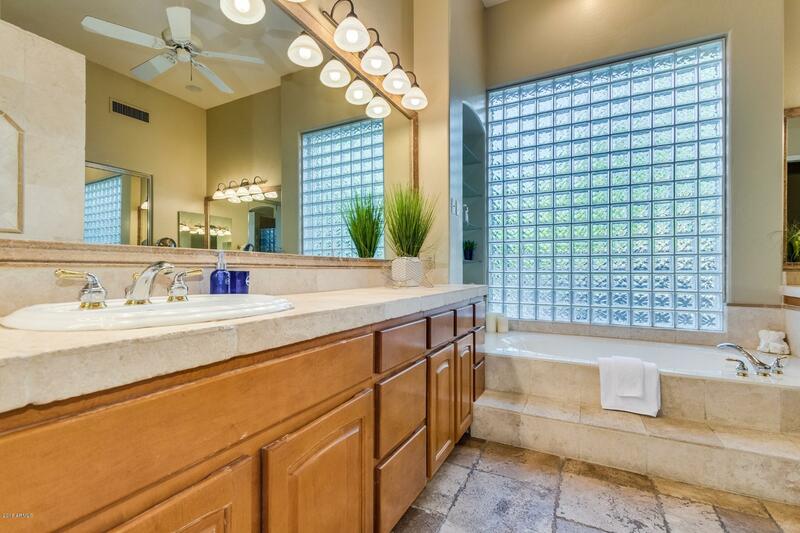 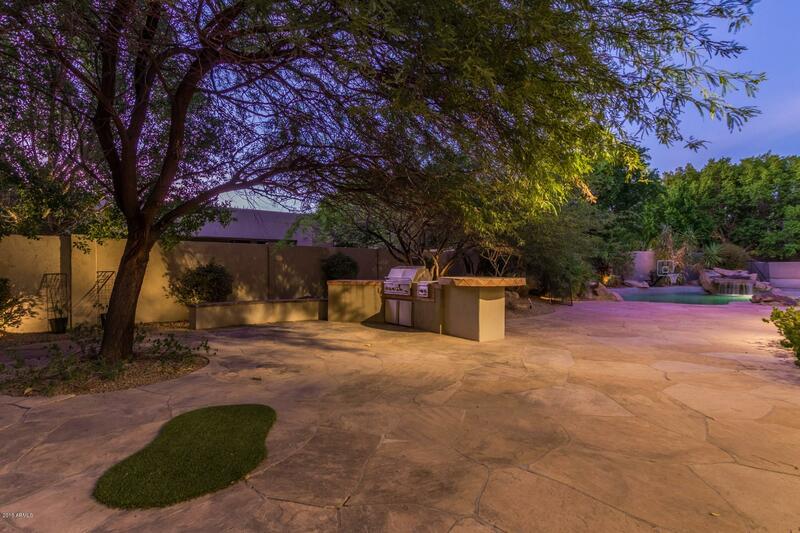 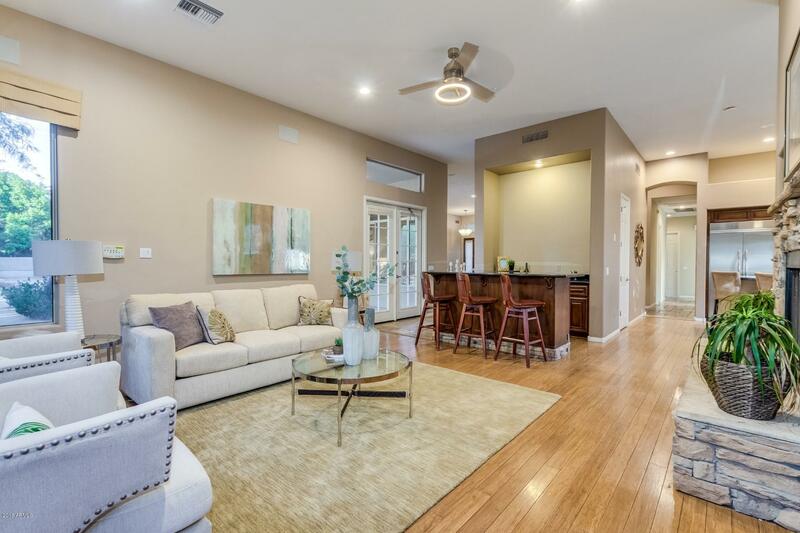 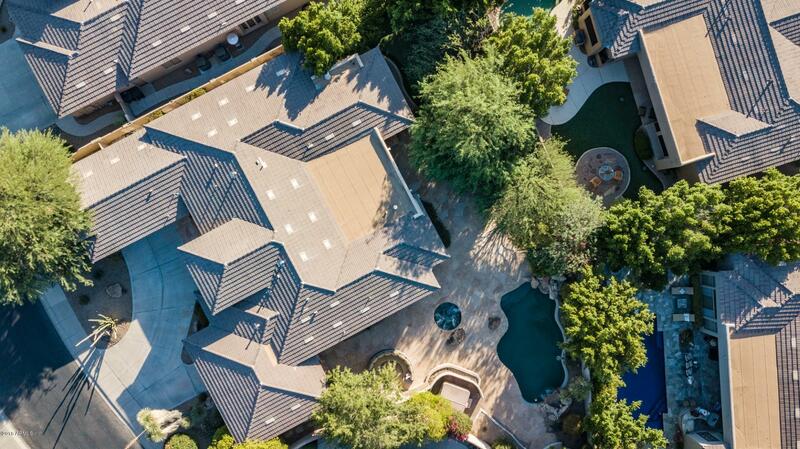 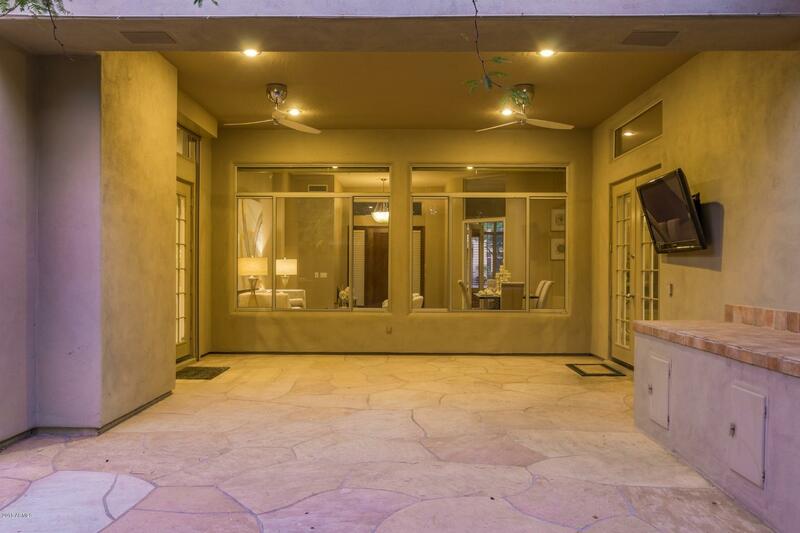 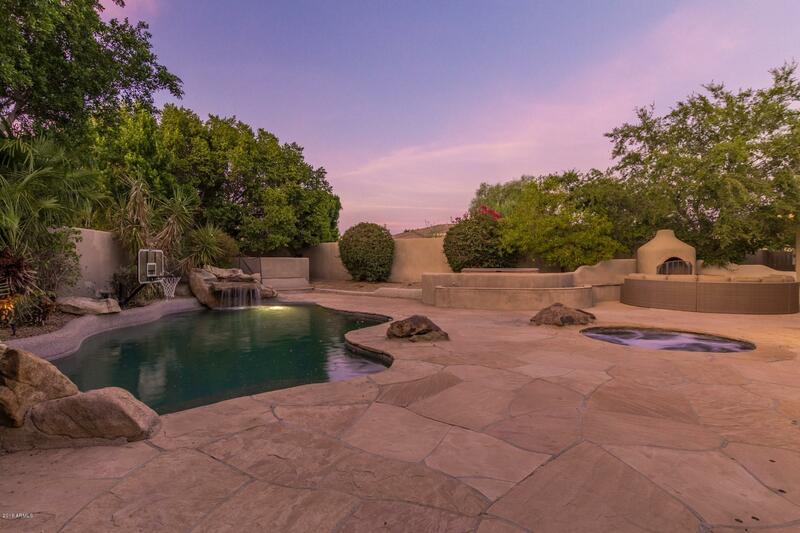 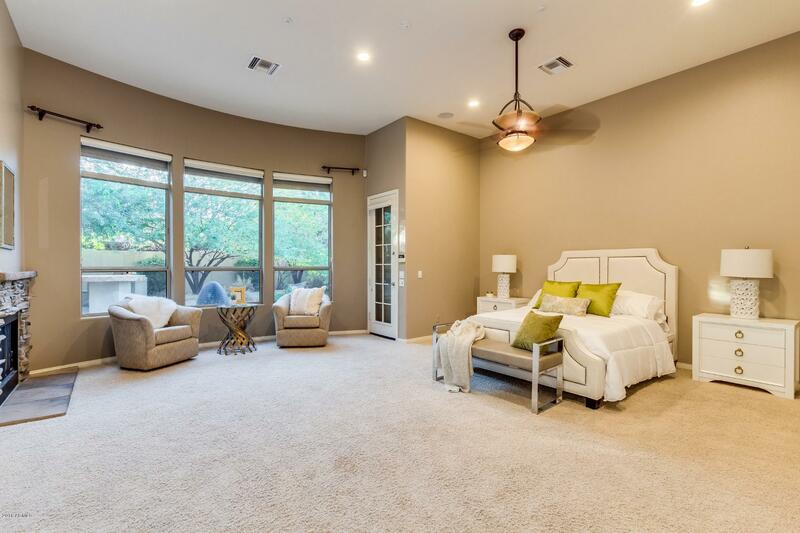 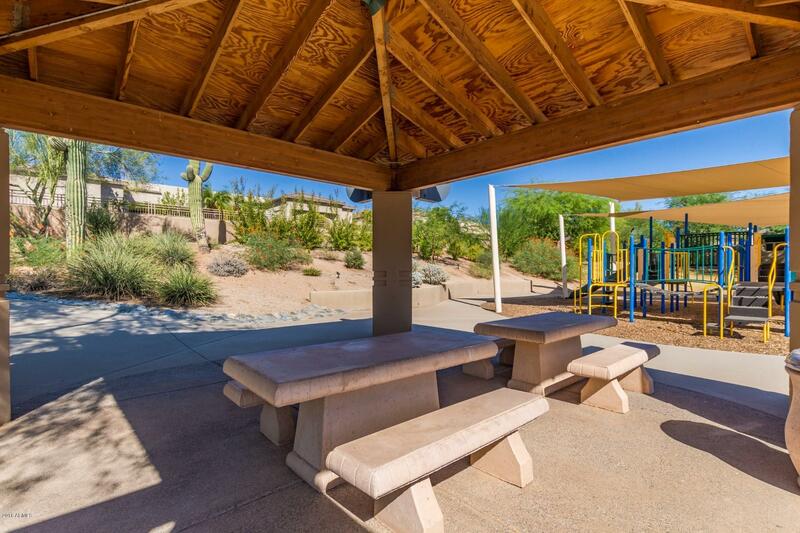 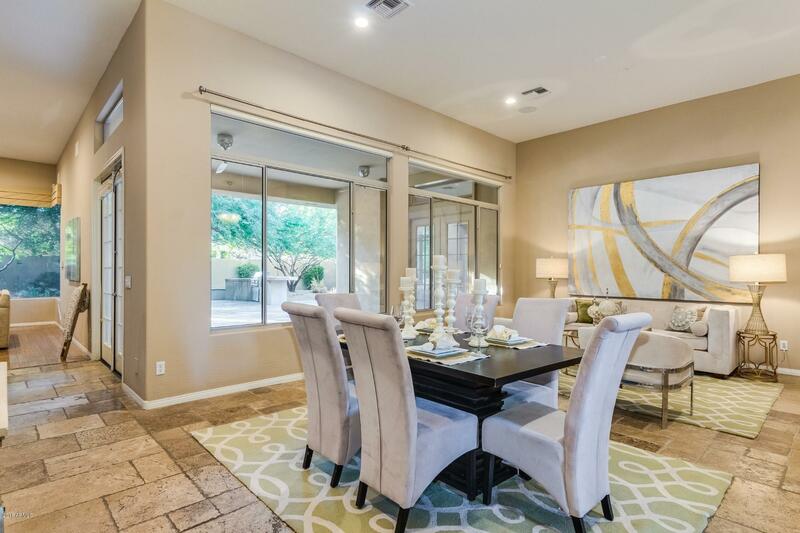 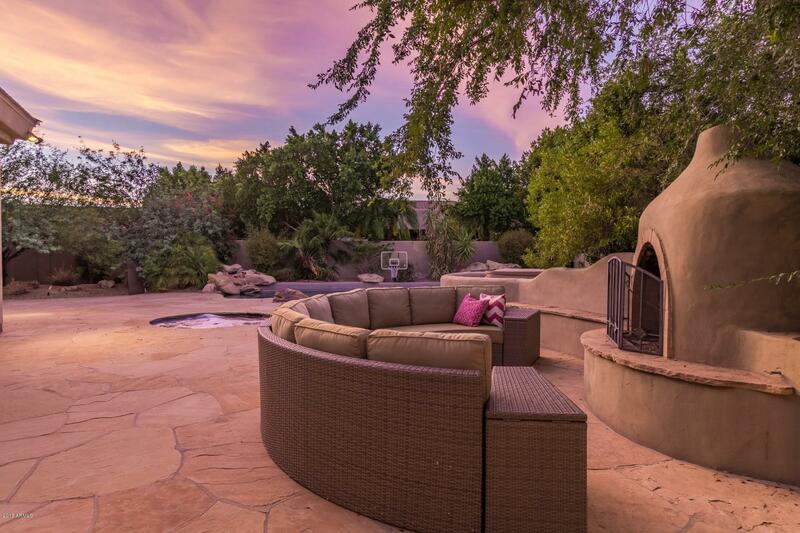 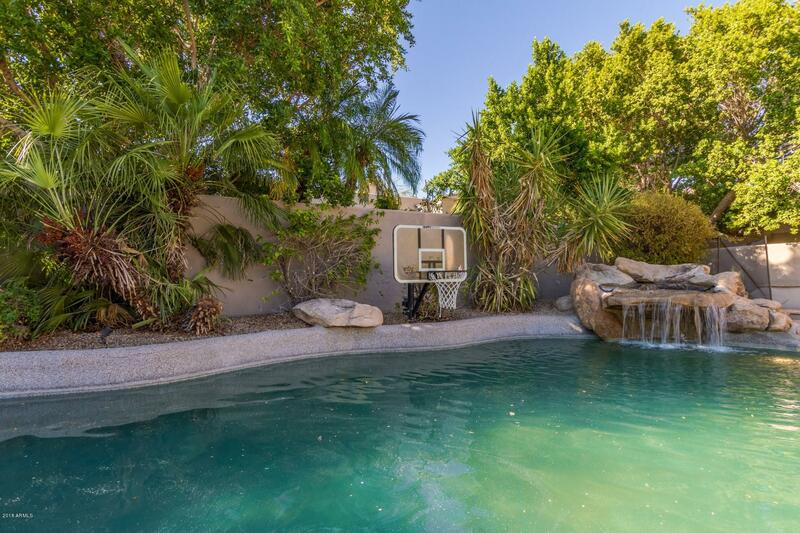 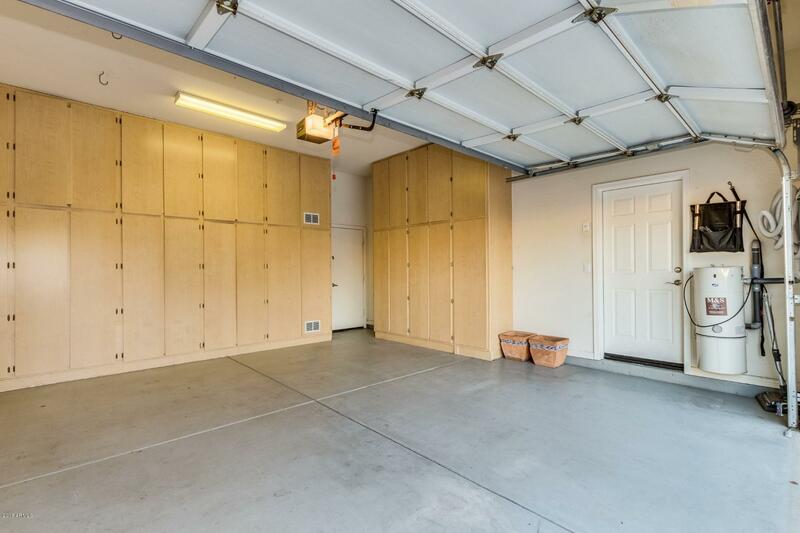 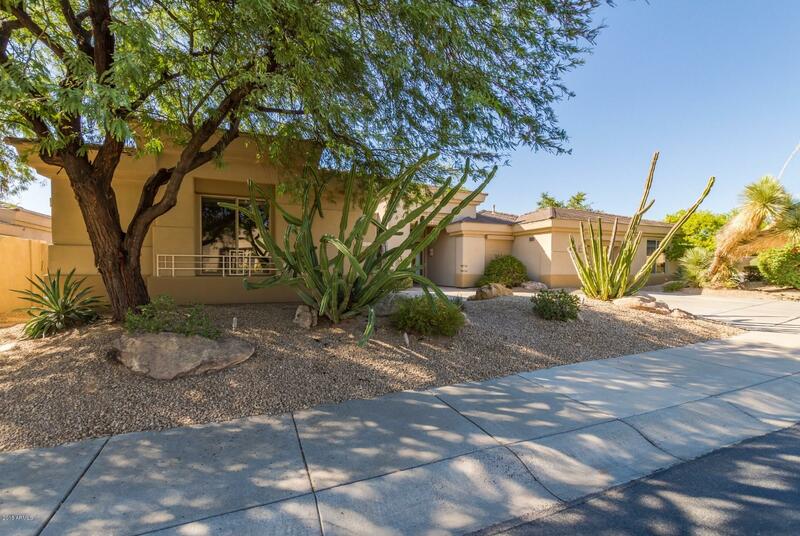 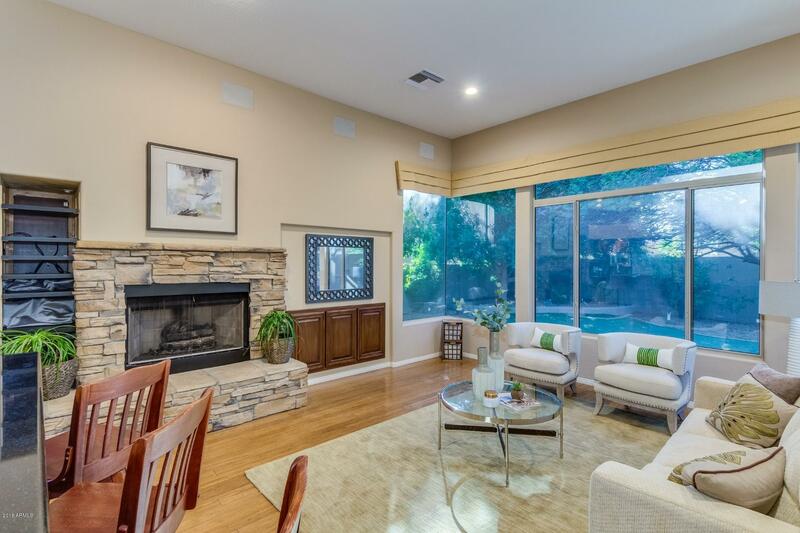 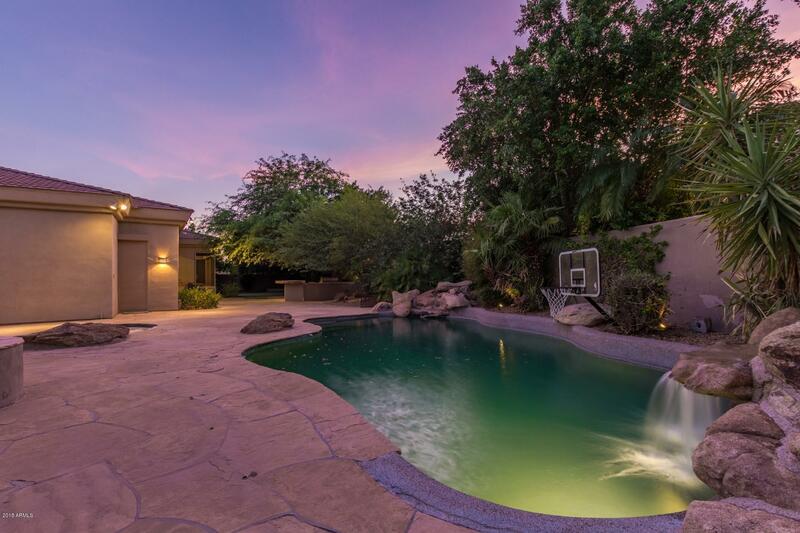 Ideally located near Grayhawk Country Club, this single level home boasts nearly 3,800sqft of an entertainers dream. 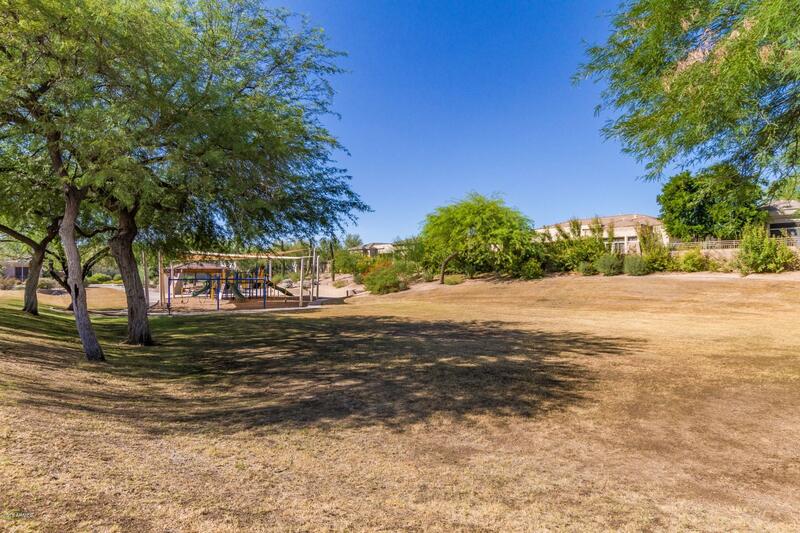 Perfectly situated on a cul-de-sac, this corner lot home offers one of the largest lots in the community. 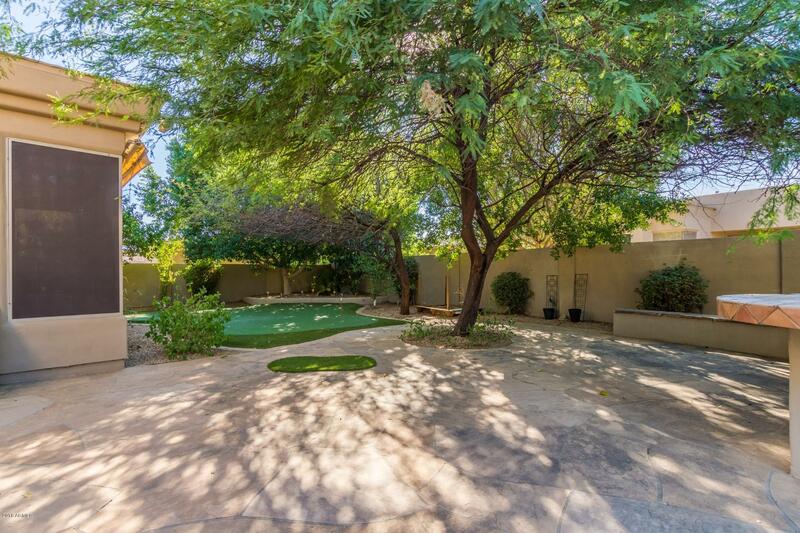 In this extra yard space is a pebble tech pool with two waterfalls, spa, putting/chipping green, kitchen/ bbq, kiva/ fireplace & entertainment area. 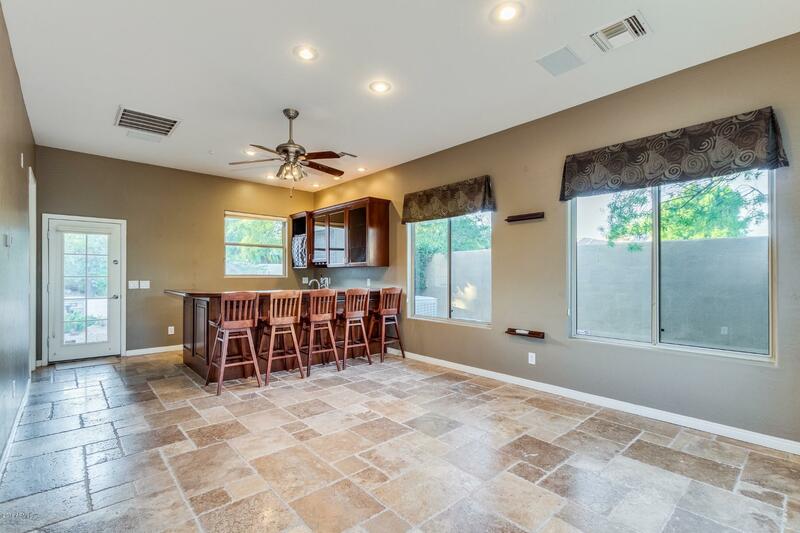 This home has automatic exterior sun shades & screens as well as a full game room/ home gym with wet bar. 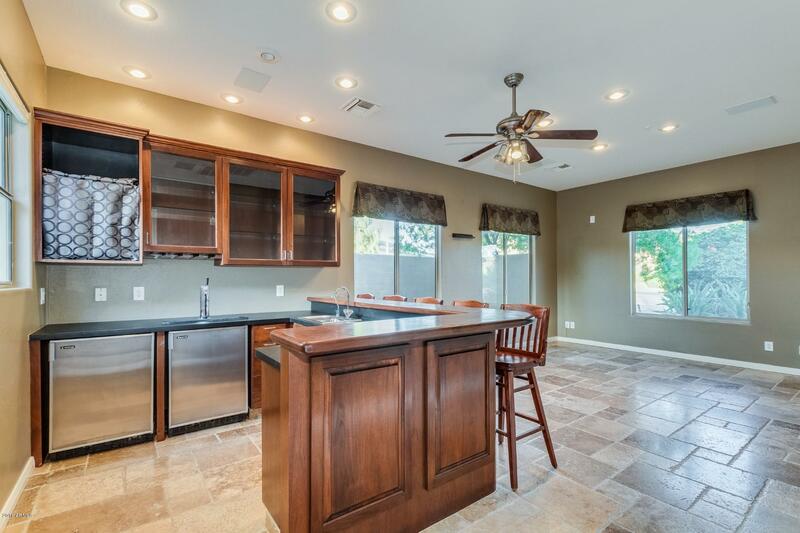 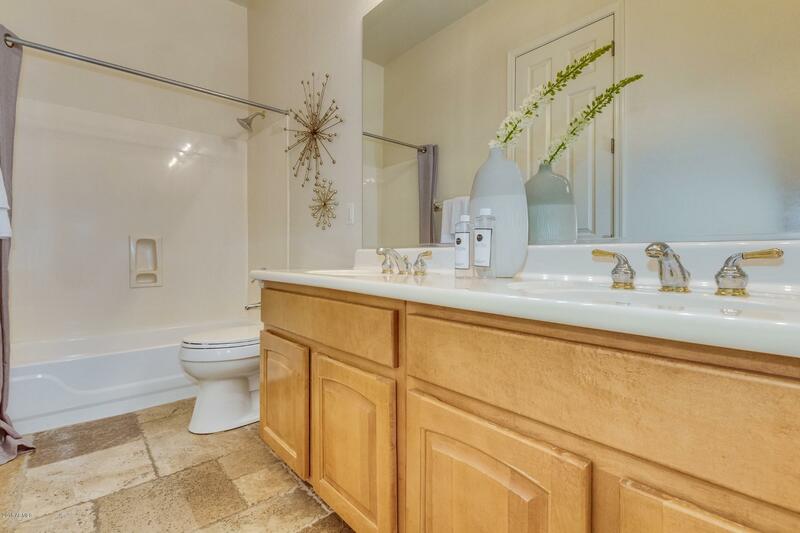 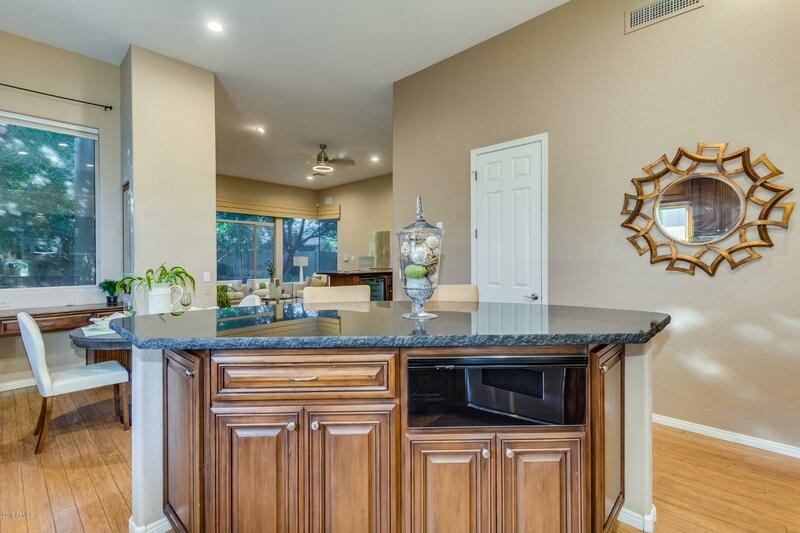 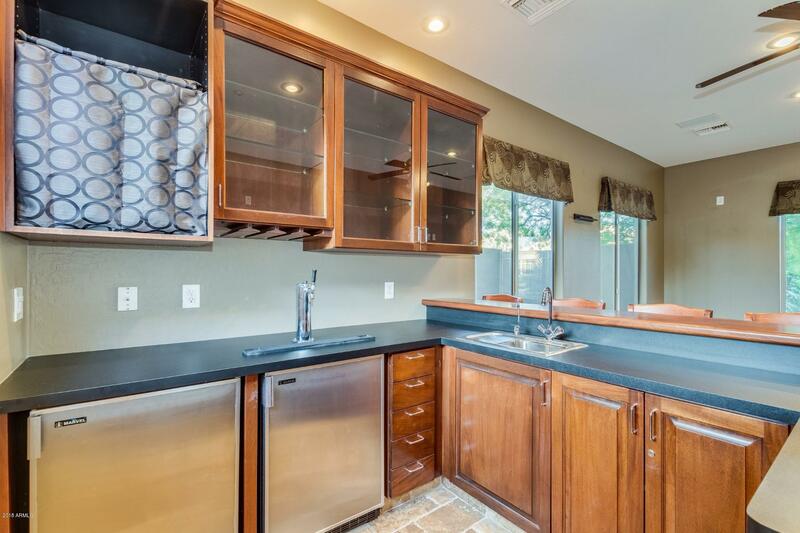 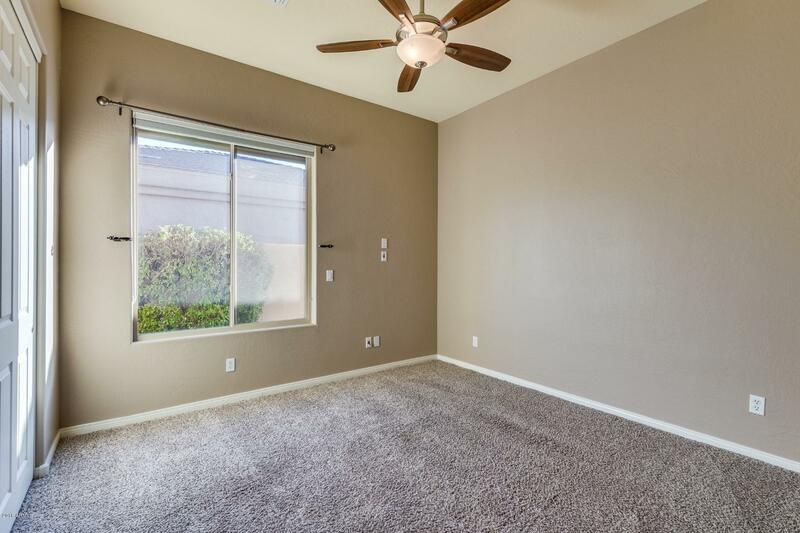 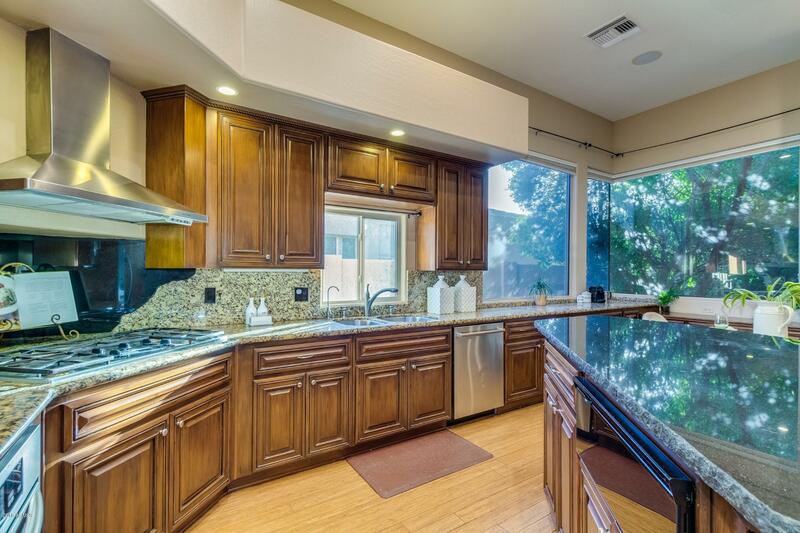 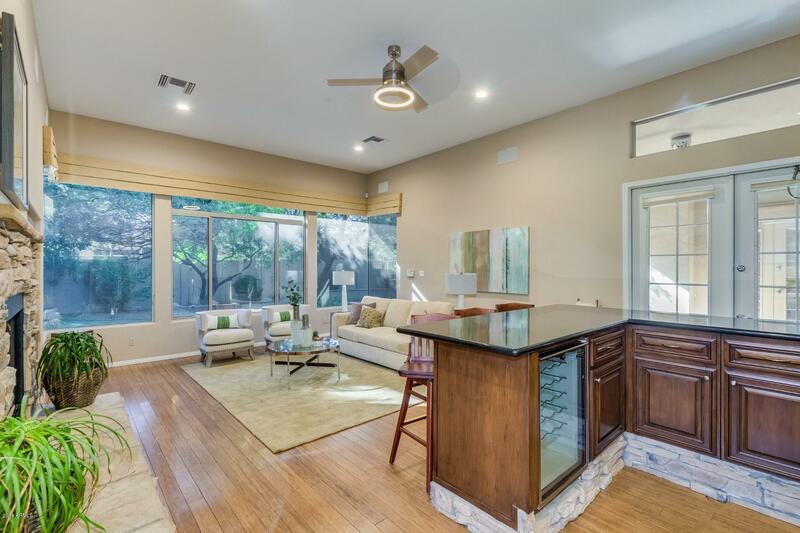 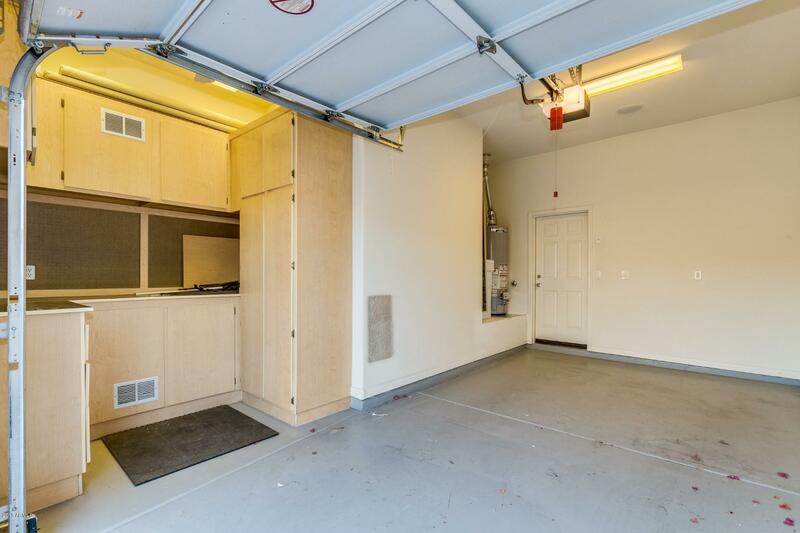 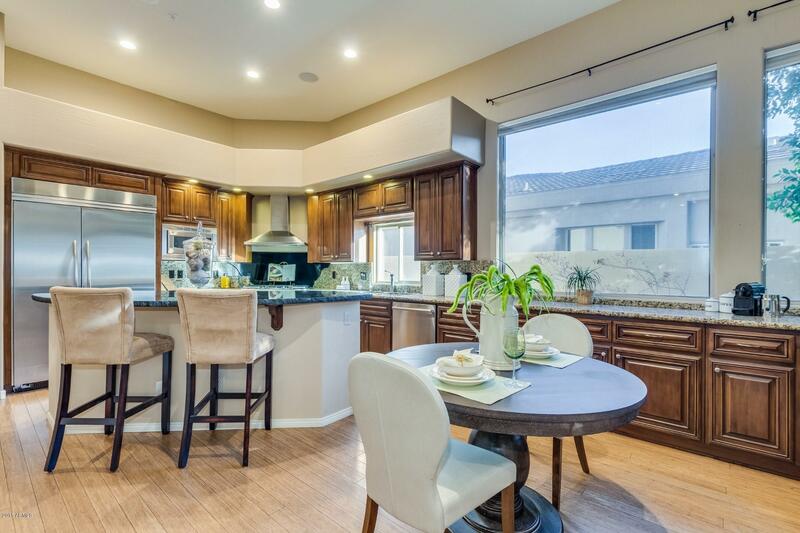 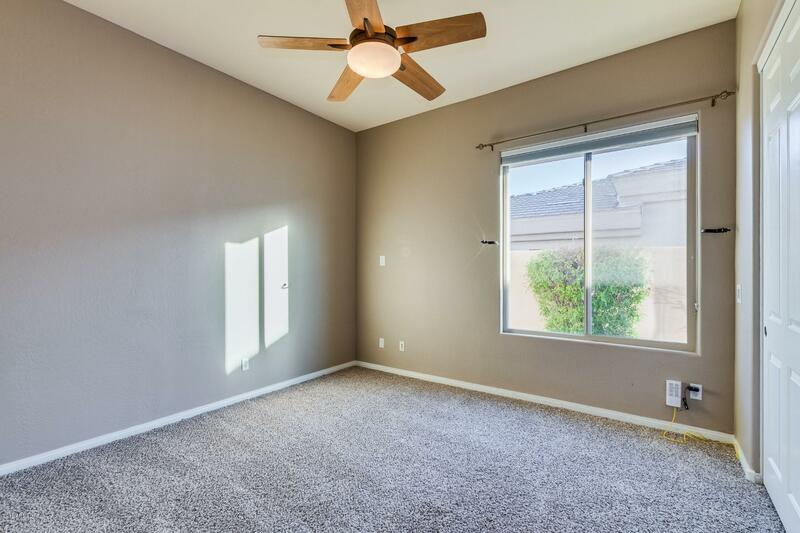 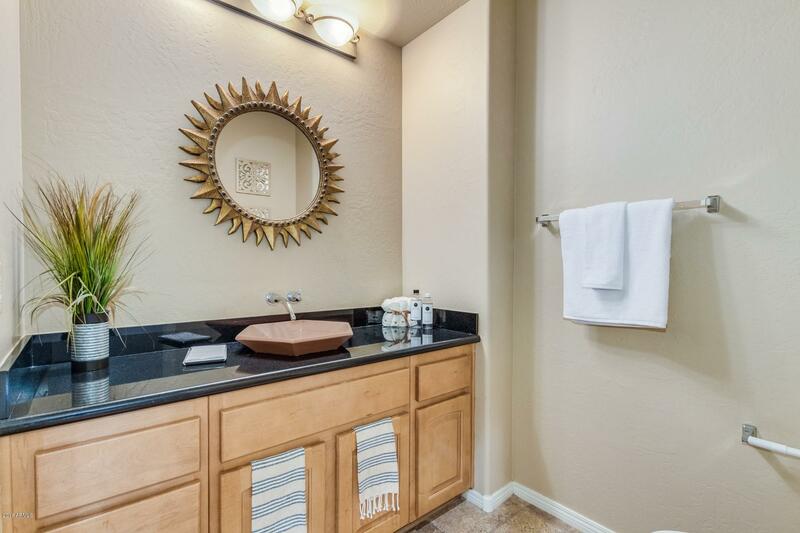 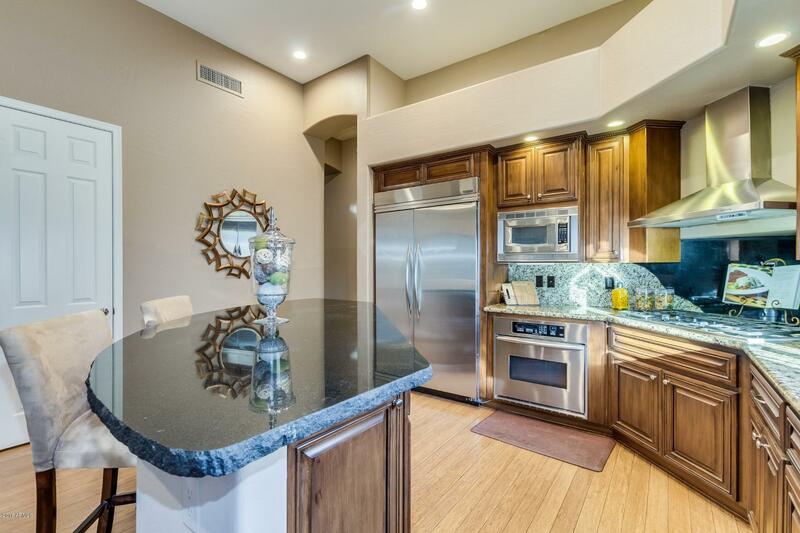 The kitchen is tastefully upgraded & has an additional wet bar & study. 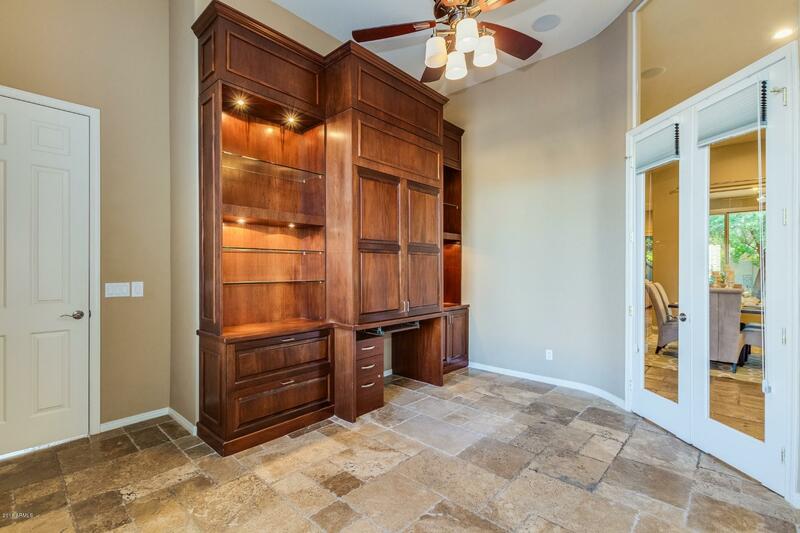 The home also boasts a private office with beautiful french doors & built in desk. 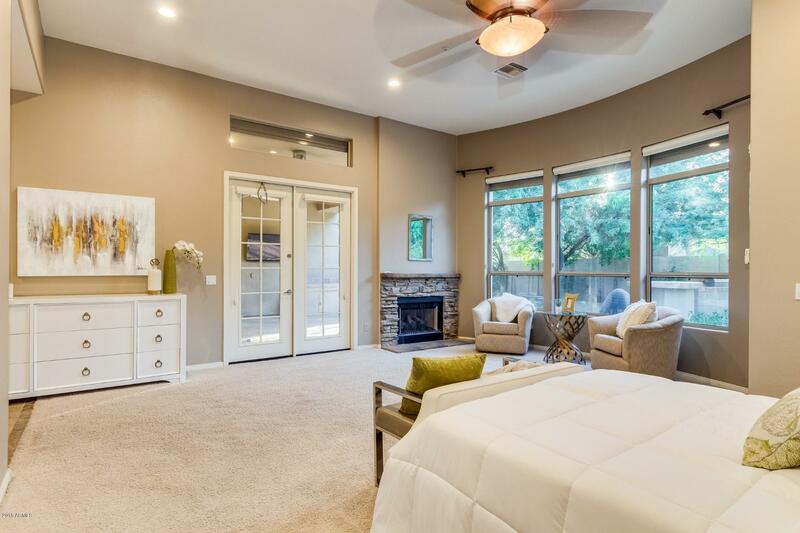 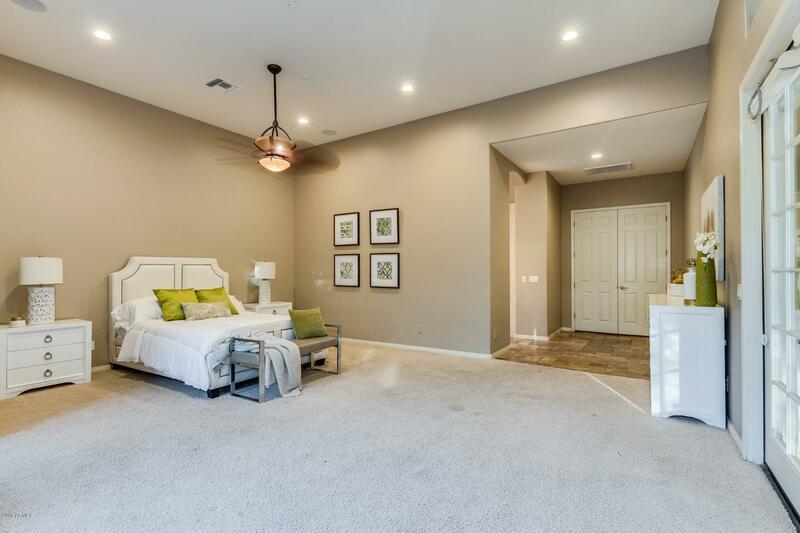 Relax near the fireplace in the spacious master suite.